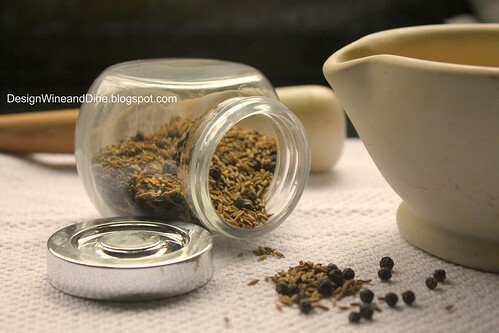 My last experience with cumin seeds led to a dish with intense cumin flavor (overly so) so here I went light on the teaspoon and decided (before toasting) to grind the seeds down with a mortar and pestle. If you don't have cumin seeds, I'm sure cumin powder would work just fine. I also skipped the pork tenderloin and made these Yogurt Marinated Indian Spiced Shrimp I posted a few weeks back. The shrimp and chutney worked perfectly together! By the look of this mango, I was expecting it to be super, super sweet (but it wasn't). A pinch of sugar added to the chutney at the end successfully evened out the tartness of the lime. 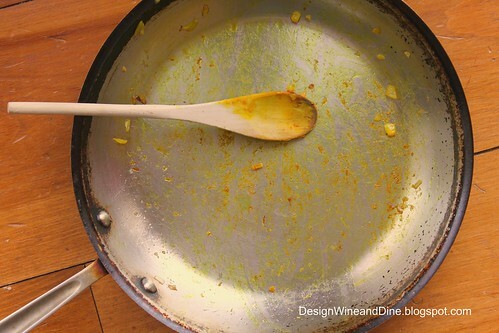 Below...is a picture of our pan ...after removing the chutney. It's one of nine All-Clad LTDs we've had for almost 10 years. In the end...I could never do it. Look at this hard, hard worker. 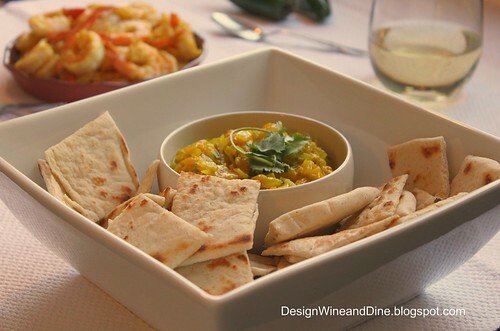 Here's the recipe again for the Mango Chutney on epicurious.com. Authentic and Delicious...perfect party food as it's best at room temperature. I love chutney and your recipe looks fantastic! The pictures on your blog are incredible! Just looking at them make me hungry. 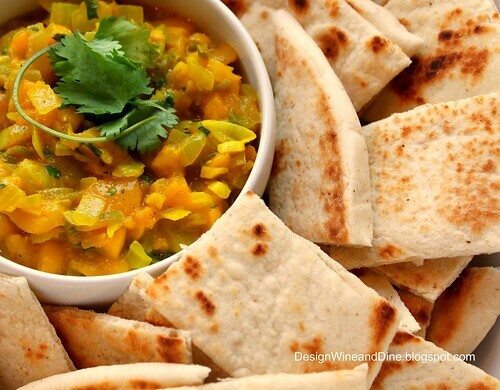 We recently started using mango chutney on more dishes, and this homemade version looks fantastic! I bet it went great with those shrimp. He knows how to cook and makes the pans as well? He is a gem! This chutney looks so vivid and I am sure it went perfectly with the shrimps! What a gorgeous dish! I love the mango chutney. 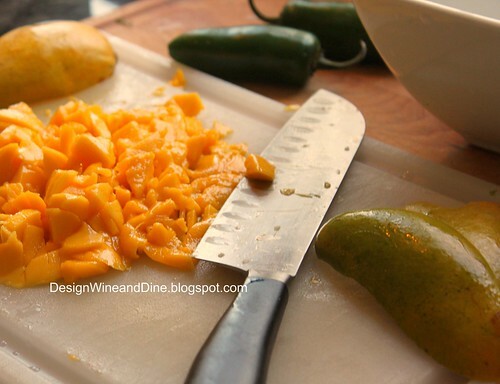 i actually wanted to just reach my spoon into the mango pic & eat a few spoonfuls of that. The chutney looks incredible. I bet it complimented the shrimp nicely! Do you know how many doggone recipess of yours I've bookmakred??? and here's one more. We just bought our first All-clad. Haven't used it yet, and it looks so beautiful sitting on the stovetop. Mangoes and Shrimp! Yes, gimme! Hah! The BH is resident dishwasher in our house, and I FINALLY have him trained about not putting my cookware or knives in the dishwasher. It took a while, but like a dog, he could be trained with treats, haha. This chutney looks awesome- LOVE chutney, and I'm not a huge fan of the Major Grey brand, which is kind of the only commercial one you can find consistently. Well done, Ms. DWD! Peking-Style Chicken Wraps for Dinner or a Party!